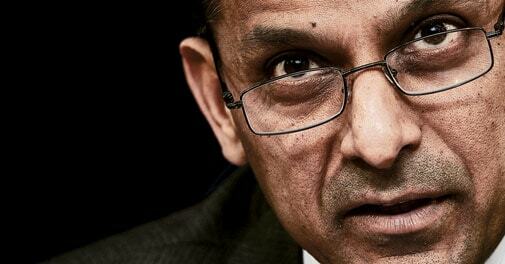 In his first two months in office, RBI chief Raghuram Rajan has asserted his independence. Although the govt would have preferred a reduction in interest rates to boost the slowing economy, Rajan has instead raised the main lending rate twice to tame inflationary expectations. Rates have been raised twice as Raghuram Rajan stands, somewhat like the mythical Dutch boy who stands with his finger in the dike, between his townspeople and the terrifying seawater beyond. Senior Editor Anand Adhikari writes about this grim struggle in our cover story. The digital entertainment company, set up in 2011 by Sharad Devarajan along with fellow Indian-American entrepreneurs Gotham Chopra and Suresh Seetharaman, is telling stories about Indian superheroes with a contemporary twist. Can digital media make a difference in 2014 elections? You don't necessarily have to pound on monster exercise machines to lose that extra flab. Here are a few simple exercises that could work just as well. As Sachin Tendulkar retires after 24 years in international cricket, Business Today discovers some uncanny parallels between the maestro's career and the country's economy. India is saluting two great sports stars for their superlative performance. One, of course, is Sachin Tendulkar who is set to retire in style in front of a home crowd soon. The technology venture allows users to listen to music online and share playlists with friends. This case study looks at how Spotify evolved its use of marketing tools in keeping with the evolution of the music industry, as well as changes in the way companies and customers now communicate with one another. Business Today brings together students to voice their views on a significant business, economy-related issue in this B-School debate.